Apple is set to release a new feature called Business Chat in a direct bid to compete with customer service messaging platforms like Facebook Messenger and Twitter’s DM support. 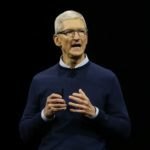 The feature recently appeared on Apple’s developer website next to a short description of the product, and Apple says it will discuss it in more detail during a developer session on June 9 at 10 a.m. Pacific. This means the app isn’t necessarily for enterprise chat rooms, like Slack, but rather more on a par with what Facebook or Twitter enable — the ability for small companies to chat with customers using Messenger or Twitter’s DM function. In this case, for example, customers can reach out to a business using Facebook Messenger to discuss support, product returns and more, instead of having to call. Business Chat will be deeply integrated into the iOS 11 operating system and within Apple’s own native apps, according to the website. The idea is that when a consumer is looking up business information, instead of simply being presented with a phone number to call as on Google, they’ll instead have the option to start a chat session using iMessage. Customers will be able to find businesses and then start conversations from Safari, Maps, Spotlight, and Siri. In addition, Apple touts that Business Chat will be integrated with other services, including Apple Pay for transactions, and Calendar. 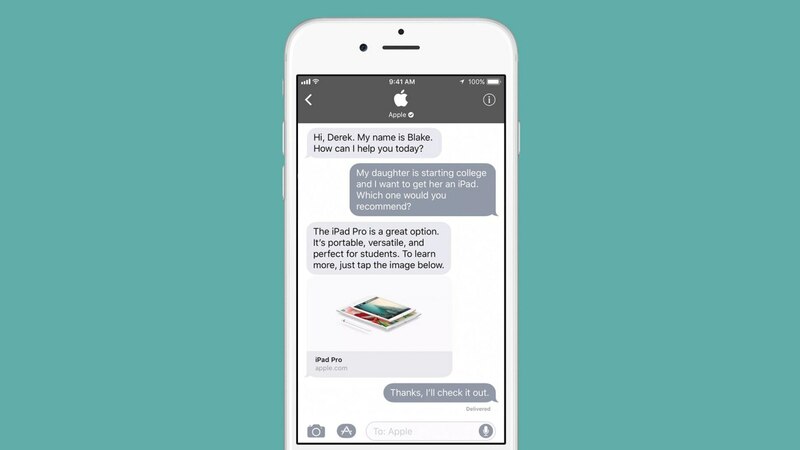 It also notes that businesses can bring their own iMessage app into the conversation. Business Chat will presumably roll out to the public when iOS 11 ships this fall.